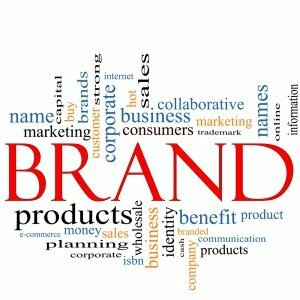 Multi-million dollar companies spend years creating a brand. And thousands if not millions of dollars for advertising. However, if you have a small to medium sized business, that kind of expense is prohibitive, but developing strong brand image is still possible. How? It’s all about the your vision for your company. What are the words that best describe what you want your business to be, to look like, to act like and sound like to your customers. Start with a writing pad, or your lap top and write down all the words that come to mind that fulfill your vision of your company. Once you have at least 10, start to edit, and then see what ideas remain. Here are some samples of vision statements of well-known, successful companies. Be the company that society wants to exist. Create a better everyday life for many people. Nobody should die or be seriously injured in a Volvo. Can you match the company to the vision statement? 1) Ikea, 2) Disney, 3) Honda, 4) Volvo. A good vision statement should be exciting and make you a little uncomfortable. It should motivate and invite you to stretch your mind and help others to get focused. If the final vision statement is a true representation of your dream, development of your company logo and tag line will emerge with the help of a strong creative team, comprised of an experienced Art Director and Writer. The Brand will begin to take on a visual and verbal direction that is clear to the reader. And if the job is done right, the branding of your company or product will be prominent in all marketing materials, whether they are internal or designed for the consumer.